Having your own condo manager who will look after your rental properties in Singapore will seem like an added expense, but there are advantages to hiring a property management firm to help keep the profits coming. There are also disadvantages to paying your own managing agent that you need to consider before you hire an estate maintenance company. Managing your own properties will seem like a money-saving effort, because you won’t have to pay for the management fee of your managing agent every month. But if you own several rental properties and other businesses in Singapore, the expenses will double especially if you don’t have strict financial controls for routine expenses such as monthly bills, repair and maintenance, and cleaning. If you have few rental properties that you can manage without spending too much of your time and money, then hiring a managing agent might not be profitable for you. One common problem with estate maintenance is dealing with the tenants when it comes to payments, liabilities, and penalties. Although most landlords/landladies screen their tenants, there will be times when one of them cannot pay on time due to emergencies or other reasons. When this happens, how do you deal with the situation properly? Not everyone is skilled when it comes to dealing with such delicate issues, that is why having a managing agent will free you up from the awkward task of dealing with people face-to-face. What’s more, if you manage the condo yourself, you will have to deal with difficult and troublesome tenants and embarrassing evictions for those who are no longer welcome. Once you have collected the payments, you will need to subtract all the expenses that need to be paid on time to keep the condo running. From those payments, you will also need to set aside money for emergency repairs, cleaning and maintenance costs, the salary of your staff, taxes, fees, insurance, etc. If handling all the finances and paperwork just isn’t your thing, hiring a property management firm can make things easier for you, they are trained to handle several important tasks such as finance and accounting, legal work, customer service, and coordinating with vendors and other services providers. You may also check property management portal sites in Singapore like www.estateinfo.sg for additional guidance on the matter. If you can keep your finances stable with a robust accounting and finance plan, the value of your properties will grow over time. Ideally, you would want to be around your rental property when there are emergency repairs and complaints from your tenants, but this is not possible unless you live in the same building. You will need to schedule appointments and set office hours so that your tenants can talk to you, but this doesn’t include emergencies. Moreover, if you manage your rental properties yourself, you will need to have contacts with architects, vendors, utilities, and repair services. Having your own managing agent will make it easier to respond to complaints and to look for vendors and repairmen, because they have all the contacts needed for such situations. Even if you set up a condo association and divide the work load among the members not everyone will have the time to address all the tasks. If one task is overlooked, it can affect the rest of the tasks such as maintenance and repairs. A property management firm can assign a managing agent to handle all the essential tasks, so that only important decisions will need the attention of the condo association. Moreover, if you decide to handle all the tasks yourself, you won’t have time for other important matters such as new business ventures, family, and leisure. The risk of financial oversight becomes higher when the work you need to do increases to keep your rental properties running properly. This has been mentioned already, but if you own several rental properties, you will not be able to keep up with all the demands of estate maintenance no matter how well-versed you are in marketing, finance and accounting, maintenance, and organization. There will always be unexpected issues and complaints that you will not be able to address in a timely manner, because you also need to live your life. Without a condo manager, you will be forced to change your schedule frequently to attend to such demands. Hiring a managing agent to handle the daily tasks and needs of your rental properties will give you distance from your tenants. You might be the type who doesn’t want to deal with people directly and would like a buffer to act on your behalf. 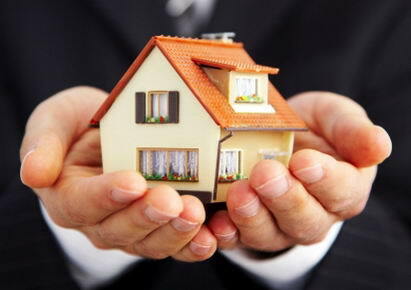 There are drawbacks of delegating responsibilities to a property management firm, however. The managing agent might not handle a situation like you usually would, and there will be times when you will disagree. Even if you have limited accountability, you still have to communicate constantly with your condo manager to make sure things are in proper order, but you can leave the issues that need least attention to them and focus on more important problems. There is always the risk of allowing a troublesome tenant into one of your units, that is why a condo manager can help you come up with plans on how to screen applicants properly. They can do a more thorough background check of the prospective tenants, because they have the connections and the resources to do so. The managing agent will also be able to come up with schedules for condo inspection, plan the maintenance and improvement expenses, advertising or marketing for vacant units, and recommend lawyers, financial advisers, designers and architects, and utilities companies and vendors to keep the units in good condition. Having your own condo manager does not mean you are no longer allowed to exercise your judgment, it just means that there are people who will be able to give you sound and professional advice to decrease problems and to increase the value of your rental properties.